If you love Tim Holtz, then you will love today's DIY project! 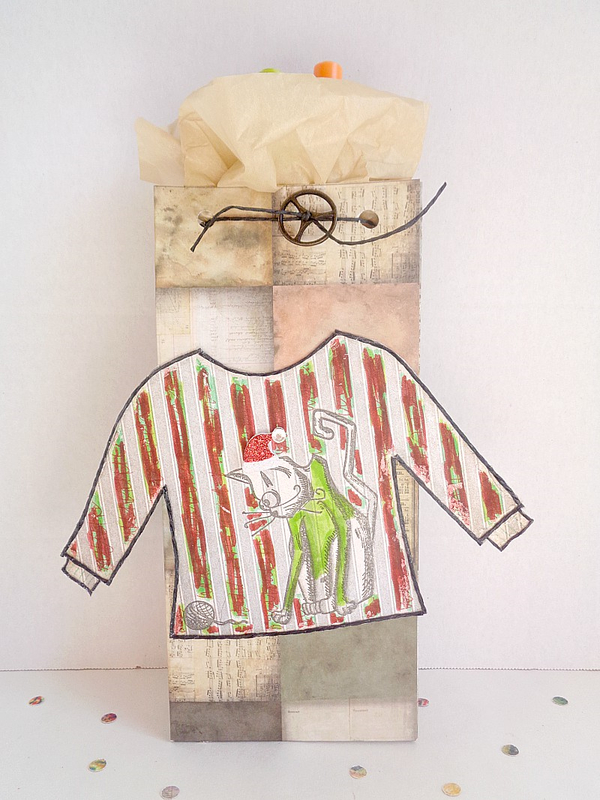 In today DIY project I will be showing you how to make some Tim Holtz Inspired Ugly Christmas Sweater Gift Bags, which are perfect for the holidays! Specifically, today's project is part of my collaboration with Xyron since I'm a member of their design team! This means that you will be seeing a Xyron product in action! For this particular project, I will be showcasing the Xyron® Wedge Shaped Glue Stick. The Xyron Wedge Shaped Glue Stick is a unique product because the top of the glue stick is wedge shaped or triangle shaped, instead of being a circle. This feature makes the product unique because 1) you can easily apply glue to the corners of paper and 2) the product won't roll off the table. Also, the glue in the glue stick is the same Xyron adhesive which makes it great for everyday projects! Also, as previously mentioned, I will be using Tim Holtz products! The products I will be using today will be his scrapbooking papers, stamps, distress ink pads, distress ink pens, and much more. 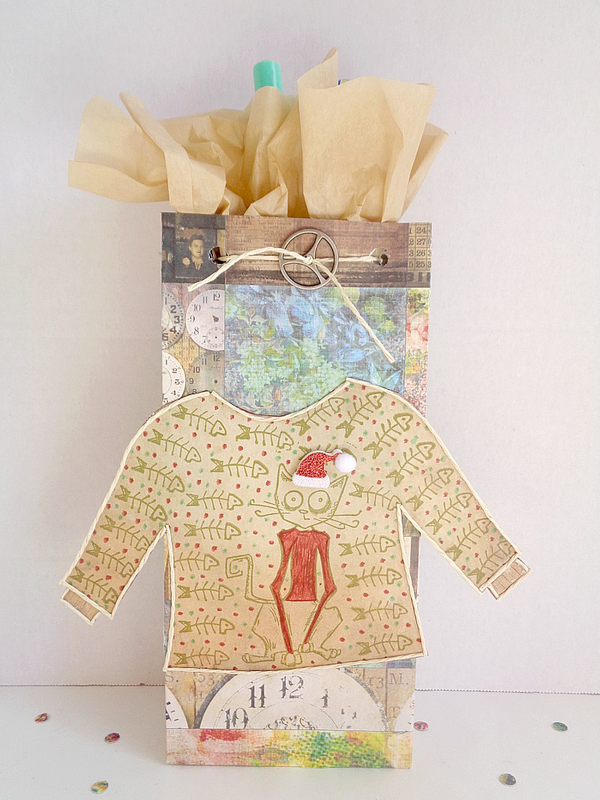 Beside Tim Holtz products, I will also be using the We R Memory Keepers Bag Gift Bag Punch Board. Now this item is totally optional and is not really needed to create the ugly sweater look. However, I did use it in this tutorial to create my own bags. 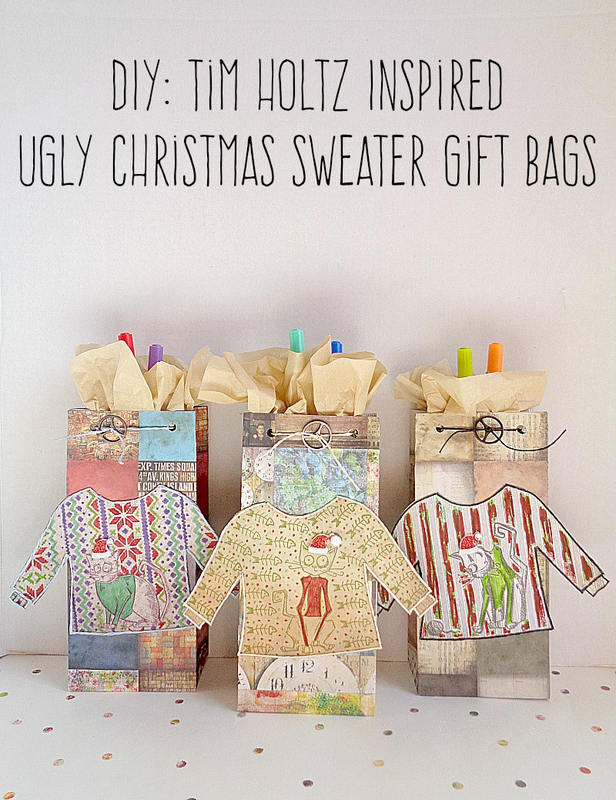 So if you want to learn how to make your own Tim Holtz Inspired Ugly Christmas Sweater Gift Bags, then keep reading below. Step 1: Print out your ugly Christmas sweater template and cut it out. 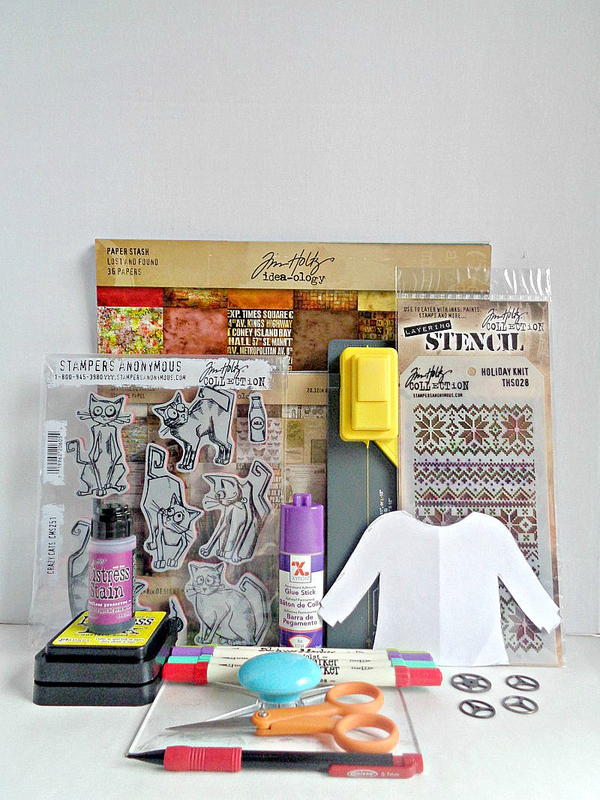 Then place that template onto solid pieces of Tim Holtz's scrapbooking paper. Trace around the template and cut out each individual sweater. In this step, I used paper from the Tim Holtz Idea-ology Paper Stash Collage Mini 8 x 8 paper pack. 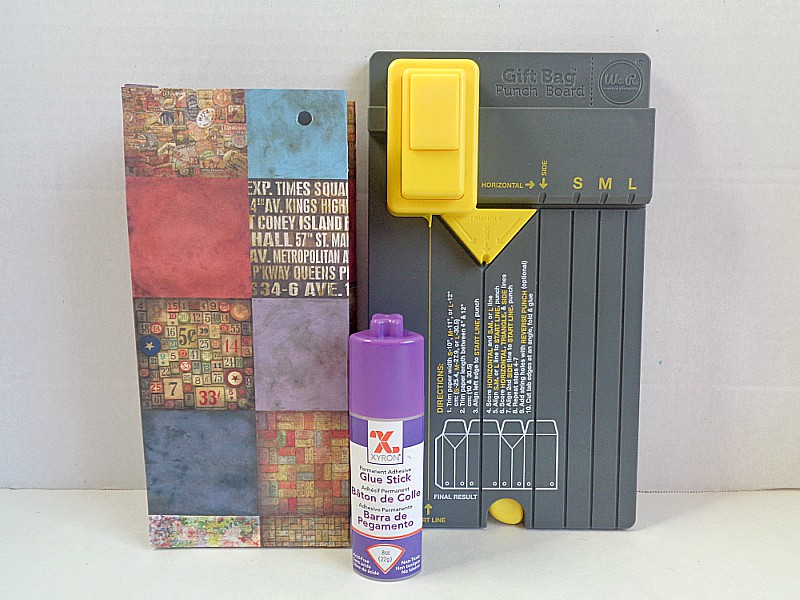 Step 2: Grab one of your Tim Holtz Crazy Cats rubber stamps and place it onto your acrylic block. 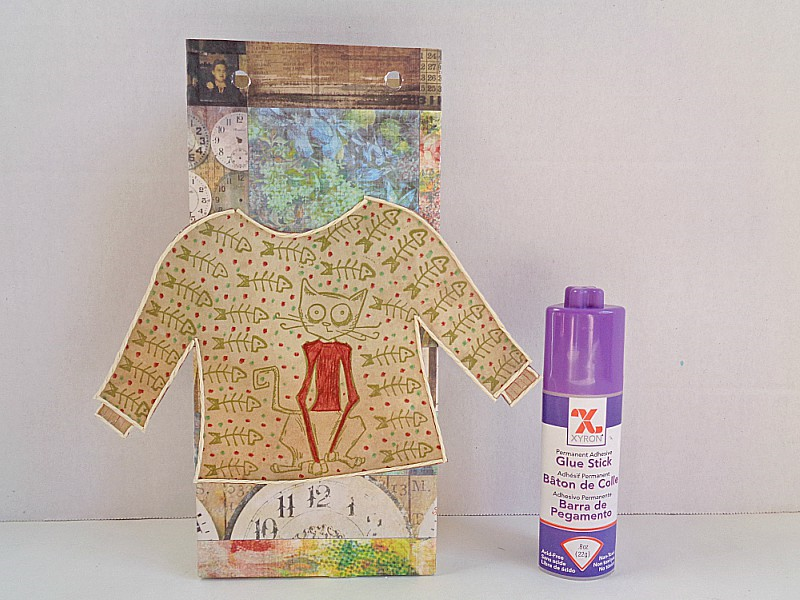 Then press the stamp into some distress ink or rub on some distress stain and then stamp it onto one of your cut out sweaters. Keep repeating this process until you have completed the number of sweaters that you need. In this step, I used Tim Holtz's Distress Ink Pads in Peeled Paint and Mustard Seed. I also used Tim Holtz's Distress Stain in Seedless Preserves. Distress Markers: I simply added dots using the markers. 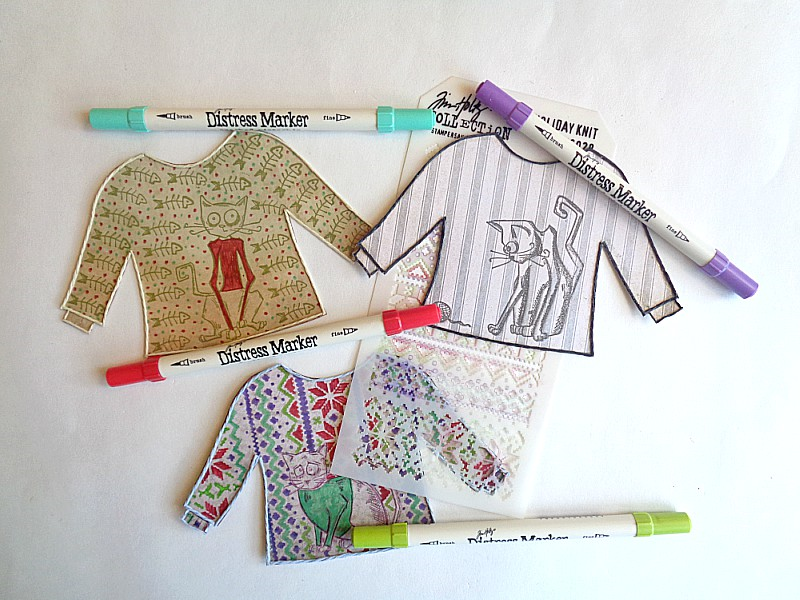 Layering Stencil: If you want to use the layering stencil, simply lay the stencil on top of your sweater and color in the pattern (around your stamped cat) using your Distress Markers. 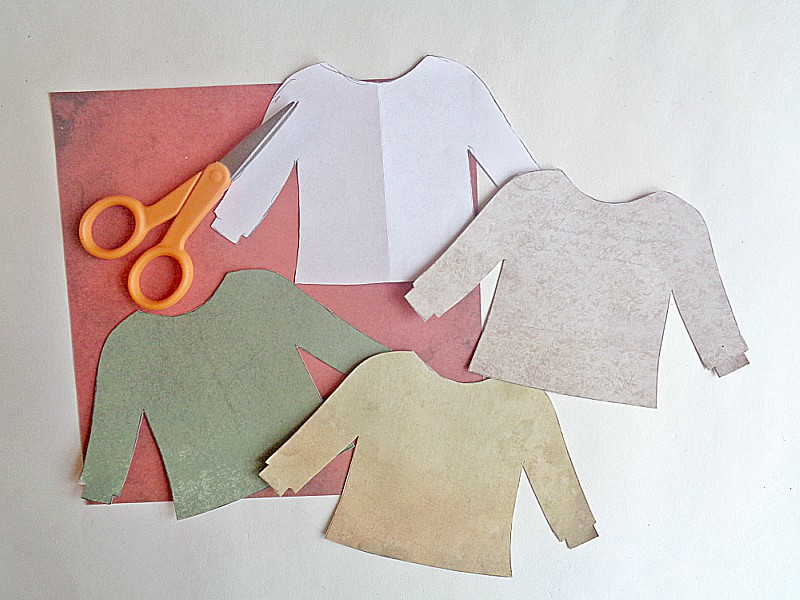 Paper String: Cut out pieces of string that will fit your sweater and glue it on using some industrial strength glue. In this case, you can really decorate each sweater in any way that you choose! Finally, in this step, I used Tim Holtz's Distress Markers in Cracked Pistachio, Twisted Citron, Festive Berries, and Wilted Violet. Step 4: Make your bags using your We R Memory Keepers Gift Bag Punch Board, Tim Holtz Idea-ology 12 x 12 Paper Stash Lost and Found paper pack, and Xyron Wedge Shaped Glue Stick. However, if you don't have this punch board or don't want to make your own bags, you can always use store bought bags! Step 5: Flip your ugly Christmas sweaters over and apply some glue to the back using your Xyron Wedge Shaped Glue Stick. Then adhere the sweater onto your bag by pressing it down and rubbing over the top of it. Once your sweater is on the front of your bag, set the whole thing aside to dry. When your bag is completely dry, you're ready to fill it up with some goodies! 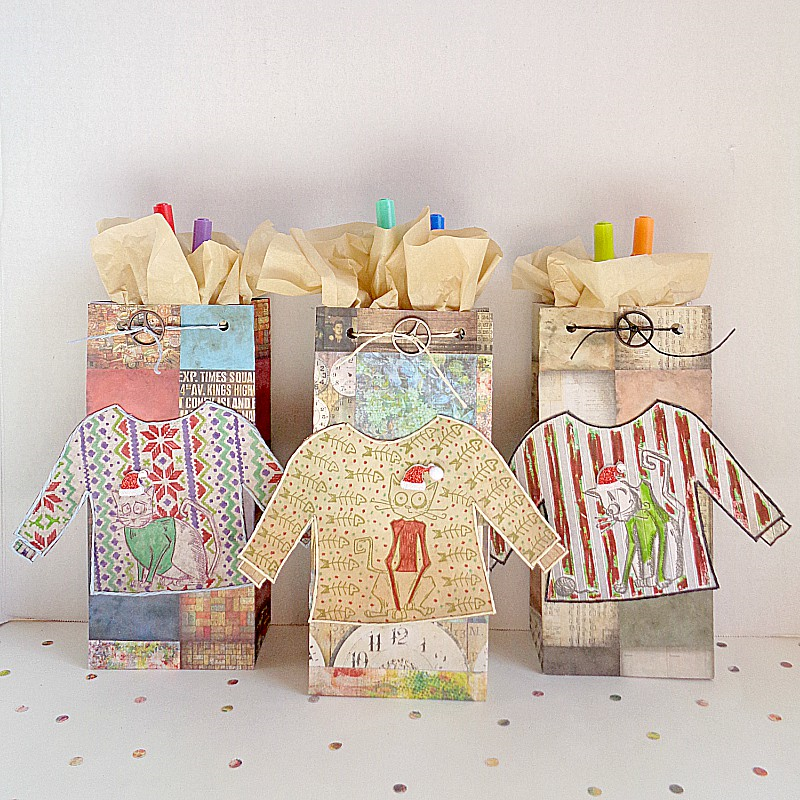 I love how these little ugly Christmas sweater gift bags turned out! My favorite one out of the three I showed, would definitely be the cat with the red sweater. Now you may have noticed that throughout the tutorial, I was showing different sweaters. For example, what you see in step 2 is not necessarily want you see in the final photo. This is because I noticed when making these sweaters that it was easy for things to get muted or for images to ''disappear'' in all the layering. Due to that, I recommended picking the brighter colors within Tim Holt'z product line or to just be mindful about how colors will show up with each other. That way, people will notice all your hard work! On a side note, I think these bags would be perfect if they were filled up with Tim Holtz goodies! So what do you think? 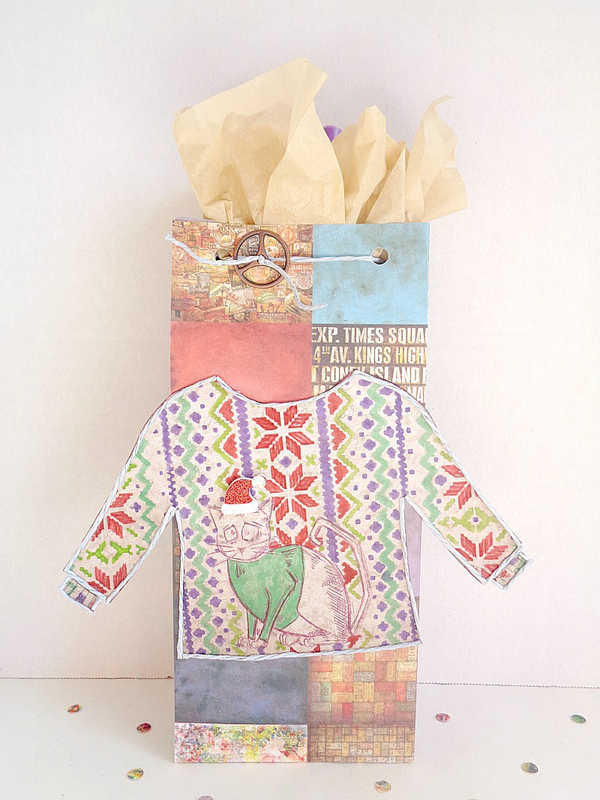 Do you like these Tim Holtz Inspired Ugly Christmas Sweater Gift Bags?